Brammo sent me some “build” pictures of my Atom. Obviously the “build” pictures fueled the burn to see it in the flesh even more. Tell me this chassis isn’t a work of art. The day dawned. 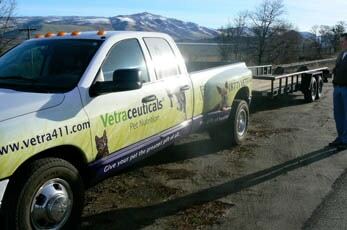 Hooked up my trailer on my Vetraceuticals Dodge Ram Dually, heading for Oregon. Arrived at Brammo. Not only did Eric assemble my car, he fixed my trailer lights – Top Man! First peek at the Atom. There she is winking at me through the “shed” door. The color looks even better in the flesh. Close-up of a perfect nose-job. Is this Atom really mine? Museum or garage? She’d be at home in either. Brammo Factory Tour – Awesome Jig Table. Factory Tour – Component Rack. Factory Tour – welded chassis comes back powder-coated. Factory Tour – Chassis on rotisserie which makes plumbing easier. Assembly of the kit was also done in Oregon. I saw the Enertia Electric Motorcycle on the Brammo Motor Sports tour — an amazing “Green Machine”. Test drive over, loaded up the Ariel Atom. Getting ready to head south back to Acton, California. Eric gives her a final “once over”. How many Ferrari or Porsche drivers can say they met the engineer who assembled their car? Siskiyou Pass, Oregon. A bit nippier than Southern California. Siskiyou Pass – What Global Warming? Frosty Atom. Good job she’s an English car. Visit Glenn McIntyre at The Gateway. A fantastic place to stay and/or eat when you’re in Sequoia, California. Her first photo shoot proper: Vasquez Rocks, Agua Dulce, California. More at Vasquez Rocks (hideaway of notorious bandito, Tiburcio Vasquez in the late 1800’s), Agua Dulce. Agua Dulce is a great little town. Agua Dulce Vineyards is just around the corner from Vasquez Rocks. We wondered if the Park Ranger would approve of us driving here. Turns out he was a car enthusiast. Vasquez Rocks is a famous Film location. Such movies as: Austin Powers, Planet of the Apes, Star Trek, Blazing Saddles, Werewolf of London, Dracula, Apache, Cars, Little Miss Sunshine, My Stepmother Is An Alien, among many others have been filmed here. Vasquez Rocks is also a famous TV location. Such TV shows as: Mission Impossible, From The Earth To The Moon, Broken Arrow, Alias Smith & Jones, Hunter, The Outer Limits, Friends, Charmed, The Cisco Kid, High Chapparal, Logan’s Run, Star Trek, Air Wolf, 24, and many, many more have been shot here. Pulling into my good friend, Mike Van Acker’s place. Mike not only races, but is a champion in Dwarf Car racing. M&M racing are very well known in the sport. Mike actually owns a mint-condition, 1953 Ariel Square Four. Yes, it’s the same company! Ahead of it’s time then and now. (Pics of the two Ariels will follow). One of Mike Van Acker’s racing Dwarf Car chassis. Judging by his expression, Mike enjoyed his first time out in the Ariel Atom. The Ariel Atom gets it’s new Vetraceuticals Wrap. 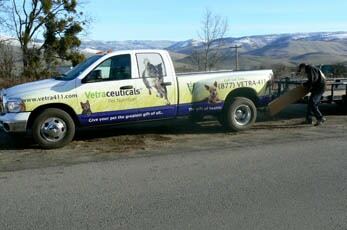 Here’s a close-up of the Vetraceuticals Wrap. I’m rather partial to the green and the new illustrations.